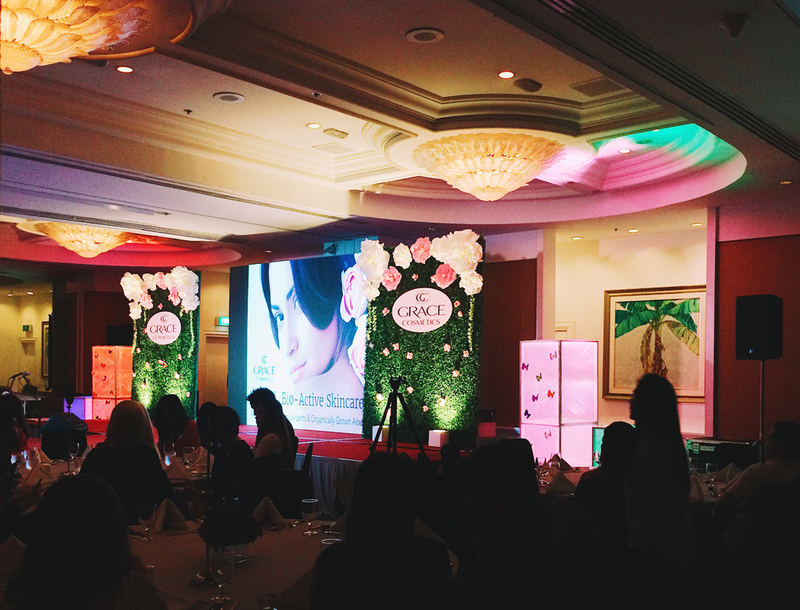 At the event, the President and CEO of Grace Cosmetics Industries, Inc. in the Philippines Myrna Yao talked about why she thought of bringing the Australian brand to Philippine shores. Grace Cosmetics co-founder Julie Fittler-Charanduk was there as well, to talk more about the creation of the brand and the formulation and development of their aloe vera–based products. What piqued my interest was the fact that they themselves organically grow their own aloe vera—a specific type of aloe vera plant—and use their own method of taking only the pure inner gel of each aloe vera leaf. Unfortunately though, I wasn't able to stay until the end of the event. I genuinely wanted to know more about their products. The good news is, I received a goodie bag with two full-sized products—their Aloe Medicated Skin Cream and Aloe Foaming Cleanser—and a trial pack of their best-selling skincare items. The best way to find out if something works is to try it yourself, after all, so that's exactly what I did. I tried all the products I received for one week. Here are quick reviews of each one. "A medicated skin cream that provides soothing relief of rashes, bites, minor burns, cuts, scratches, skin abrasions, and minor skin irritations. It's also great for eczema and dermatitis, and infected nails and cuticles. Because it's formulated with aloe vera, it's a given that this is also good for treating sunburns. Ingredients include: organically grown aloe vera, vitamin E, allantoin, soya, apricot oil and safflower oil." Full ingredients list and COSDNA analysis here. Since this cream is intended for providing relief for specific skin problems, I couldn't use it like I normally would my other skincare items. Instead, whenever I got new scratches from playing with the cats, I immediately put the Aloe Medicated Skin Cream on those scratches and re-applied every 2 hours. I did the same for mosquito bites and for when my fingertip eczema suddenly flared up. Using this cream not only provided instant relief, it also helped hasten the healing process. I've been using this cream well. I even keep this on my desk now, as I reach for it quite often. "An anti-bacterial surface wash that gently cleans and rebalances the skin. Breaks down excess acid and oils and removes all traces of make-up. Leaves no greasy residue. Ingredients include: organically grown aloe vera, Vitamins A, B5 and E and herbal extracts of cucumber and jojoba oil." Full ingredients list and COSDNA analysis here. At the launch, when they were introducing the products one by one, this was one of the products I became interested in. Grace Cosmetics claims that this cleanser removes oil, dirt, and makeup residue effectively without leaving the skin tight or dry. I recently switched to using a gentle, low-pH cleanser so I was very interested in trying this out. (Though there are no claims that this cleanser has a low pH, and I can't test for its pH myself as I don't have any pH strips on hand.) I used this in place of my regular COSRX cleanser for a week. It was just as gentle, and just as effective. The thing I noticed the most when I first tried this out, though, was the strong fragrance. The citrus smell is so strong, it's like being slapped in the face by a lemon-lime drink. If you're into citrus fragrances like I am, this might not bother you so much. But the scent really is so strong. I like this as a morning cleanser because the scent wakes me right up. One other thing that might be an issue for some is the twist-cap tube packaging. The cleanser itself is of a watery gel consistency, so when I put some on my palm, I have a hard time twisting the cap back on. I solved this by putting the cleanser on the back of my hand instead, but just recently I broke the cap by twisting it back on too tightly. (I am a bear.) I had to move the contents to a container with a pump. Again, this isn't such a big deal. But I find that the more work I have to put in using something, the less likely I am to use it. It might be the same for some people so I thought I'd mention it. I put aside my usual skincare items and used only these six products for a whole week. Most of these worked well in place of my usual stuff, like the Aloe Foaming Cleanser as my cleanser and the Aloe pH Freshener as my balancing toner. I did start missing my BHAs and AHAs after three days, so if you're used to having acids in your routine, you might feel this is a bit lacking. The 97% Aloe Hydrating Gel wasn't hydrating enough for my oily-yet-dehydrated skin, but it does feel very soothing. It is 97% aloe, after all! 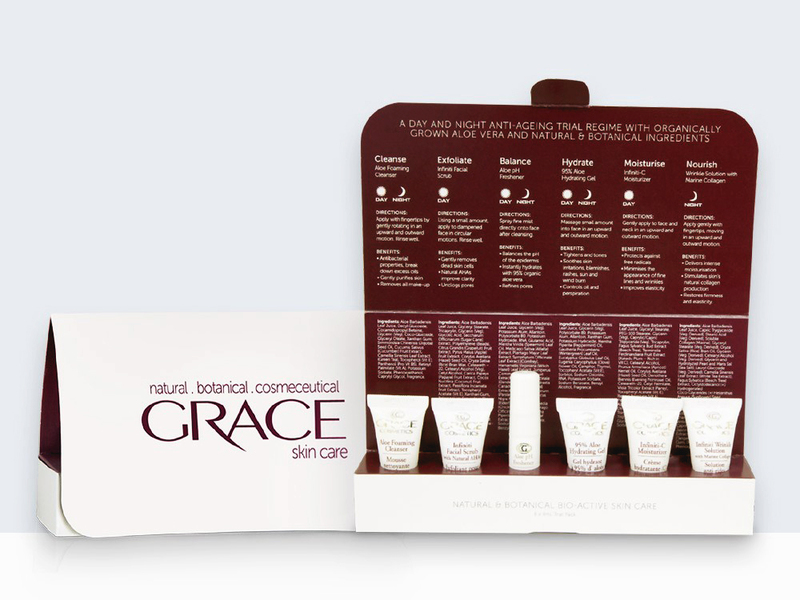 The Infiniti products are part of Grace Cosmetics' anti-aging line. I'm in my late 20's, so laugh lines and fine lines under the eyes are becoming a concern for me. While I was able to see a slight plumping effect the immediately after application, I personally believe that for any anti-aging products, you need to continuously use the products for at least 6 months before you come to a conclusion if it's good or not, so I'm on the fence with these. I do think that all these would be great for people with sensitive skin. But if you need something for targeting specific concerns (dark spots, uneven skin, etc), this might not be enough for you. 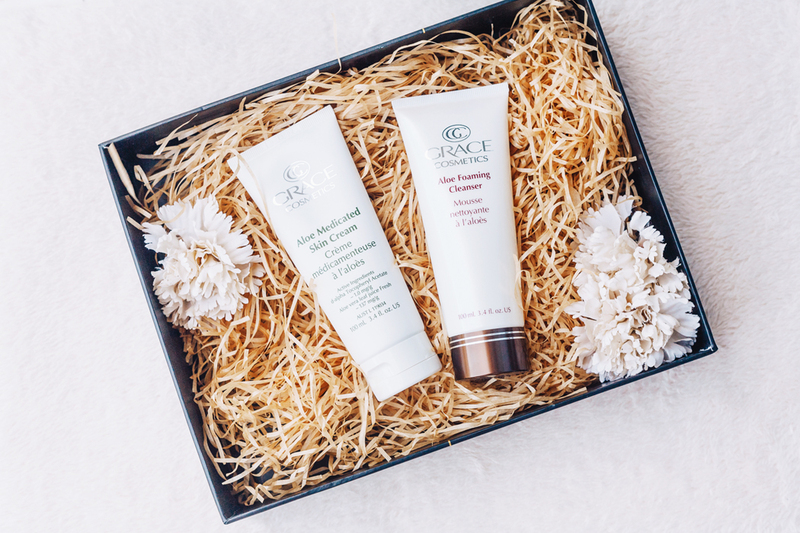 With over 30 years under its belt, Grace Cosmetics is well-loved by hundreds of thousands of people from Australia and across the globe. And I can definitely see why. After using only Grace Cosmetics products for a week, my skin has become softer and more hydrated. Granted, I mostly only used the samples from the trial pack – using these products for a longer period of time would make an even bigger difference. Though my favorite product out of all of these is the Aloe Medicated Skin Cream, because it helps a lot with healing cat-scratch wounds and providing relief whenever I get sudden bouts of fingertip eczema. I feel like the biggest issue for me is the price. Take the Aloe Foaming Cleanser. While it's a great non-stripping cleanser, I can't justify shelling out P1800 for a 100ml tube of cleanser. Not when there are other locally available options that are just as good but cost only a fraction of the price. 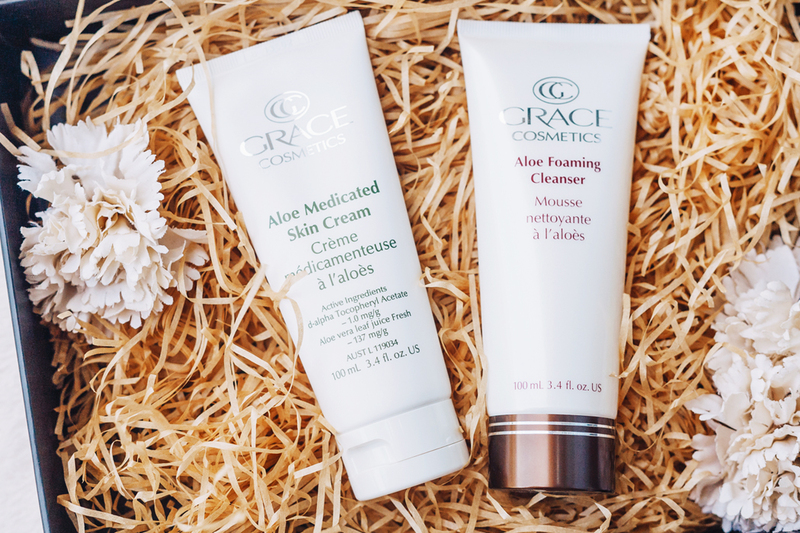 Of course, we have to keep in mind that Grace Cosmetics uses only top-quality, organically-grown aloe vera for their products, which may justify the prices of their items. Still, it's not the best choice for my lifestyle and budget right now. 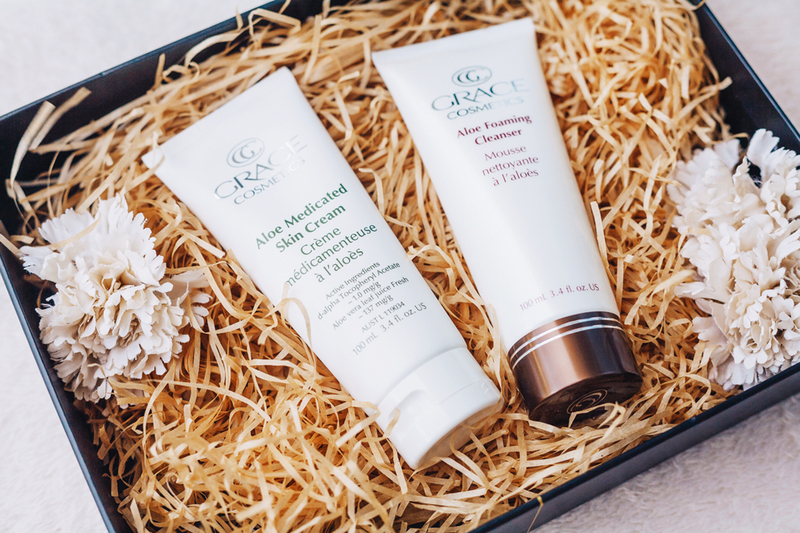 But if you have very sensitive skin or other skin conditions such as eczema or dermatitis, or if you've just been looking for a new natural, botanical skincare and cosmetics brand to try, you should definitely check out Grace Cosmetics. You can find all these products on their online shop. For more info on Grace Cosmetics, check out their Facebook page. 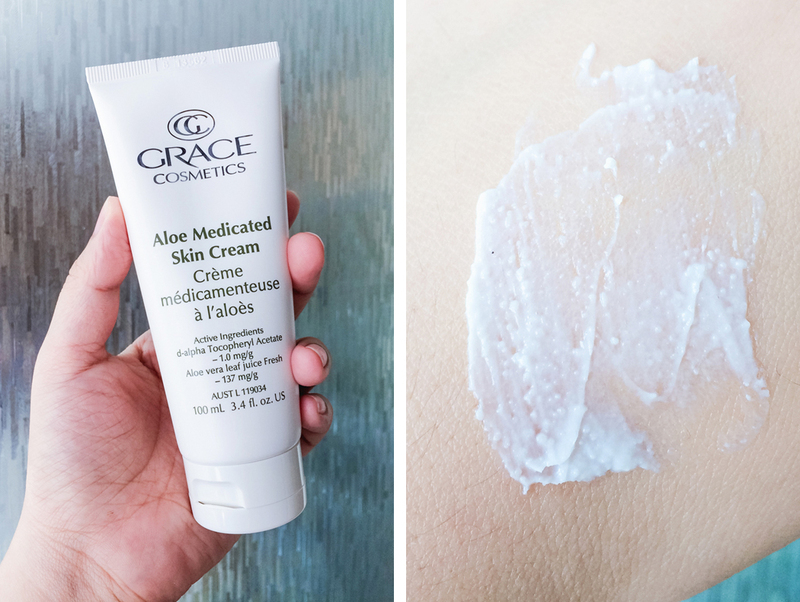 DISCLAIMER: The products in this post were gifted to me by Grace Cosmetics Philippines during its launch, but the opinions expressed here are 100% my own. Financial compensation was not received for this post. Please see my full disclaimer for more information.